Let’s go back to a time when some of our ancestors were hunting and gathering while others began to cultivate the land and life around their homes. Both of these groups gain possessions: farmers gain resources like crops and cloth while hunters had access to pelts and bones. As groups of humans began to communicate with each other, they quickly found that they could supplement a lack of resource using a surplus from another group. Let’s say a sheep farmer can’t maintain his home or his family’s well-being with wool alone; he needs resources from the fisherman and the brick maker. The ability to trade allowed a huge progress boost for our ancestors since they could now specialize with less worry that they wouldn’t have access to another resource. That specialization allowed for new innovation and further advancement of the overall budding civilization. As you can imagine, trying to trade cotton for fish or bread for firewood can quickly become difficult. The resources up for trade are so different and each person might have a different interpretation of the exchange rate. Along came the placeholder. 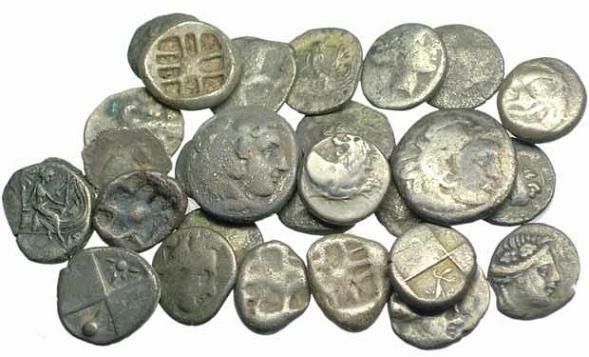 Our ancestors started to use rare, shiny metals shaped into identical pieces to create a baseline unit of value. Different metals would represent different values in denominations of the baseline unit. The name of the currency was local to the people who exchanged it but overall we’ll call it money. The arbitrary assignment of value on a natural resource was enough for the people to work with as long as there was an authority maintaining the value. As empires grew, their currency spread farther and the authority backing the value was even more widespread. Money is incredibly fascinating because it’s one of the only parts of our society that cannot exist without being institutionalized. The ambiguous nature of money meant that it could be exchanged between people for any good or service. If you herd goats, you no longer have to try to find someone who wants to accept your milk; the value of your good is transferred onto the placeholder. The ambiguity also means that you can get anything you want if you spend enough money. Money can be exchanged for favors and thus begins corruption. 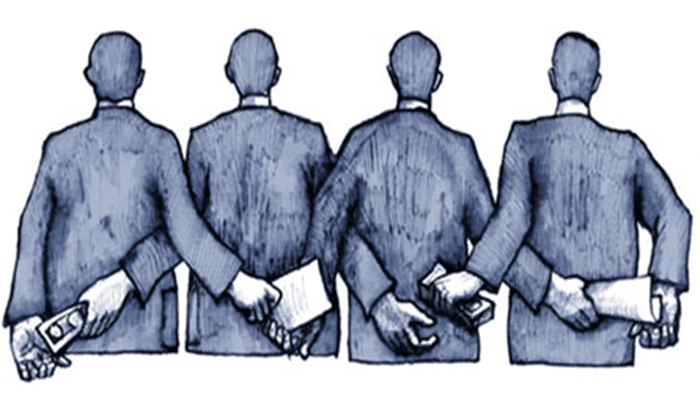 As for the corrupted, who can really blame them? They are receiving a means to get anything they want from their society. The ambiguity can also be used against the spender like the Catholic church did in the Dark Ages. They invented payments, called indulgences, that you could make to the church to grant you and your family safe passage into heaven. Here, the church has convinced the people that the placeholder had the ability to ensure a successful afterlife. Remember, this is a placeholder that only has significance because society agrees upon it. This type of behavior continues today with things like Televangelism. Televangelists prey on the people who do not understand that their money only has power because the people living in their society recognize the power. 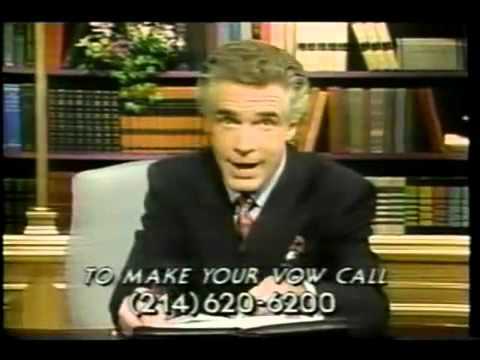 The trade is simple: send money and the televangelist will pray for you; if it doesn’t work, send more money. In other words, trade something of accepted significance in exchange for a guy on TV to ask a character he created to be nicer to a complete stranger. It’s a pretty bad deal when you think about it. We’ll fast forward a bit to the industrial, capitalistic society of the last century. Finally, a government that established a method for every member of the society to earn their way to a higher status. By making money the symbol of power, every person now had the opportunity to claim that power regardless of their background. However, when this society began, the men in charge forgot to set everyone in the society to the same starting place. An understandable blunder, if you legitimately think people with darker skin or a lack of Y chromosome are inherently lesser than you. You wouldn’t think to let them start out with the same opportunities as you. I’m not saying it’s right, just understandable when we empathize with them. With industrialization, and the Advertising Era soon to follow, the average person became less familiar with the methods of resource gathering and trade that was so common to our species for the last few millennia. Instead, people began living in cities where food does not come from the ground, it comes from the store. Shelter isn’t what you can find but needs to be paid in rent because someone already owns the buildings. A major shift occurs in the psychology of city-dwelling humans: food and shelter require money and the only way you could get money was to exchange your time in the form of work. As living organisms, it’s important to know that we are all going to die; but it’s even more important to know that our most important resource is the time we have before we die. With the shift to city life, people must now trade their time in order to live, with money acting as a placeholder in the middle. Money became synapsed and solidified to the most necessary Basic Functions for our own survival, increasing its importance. To make matters worse, advertising ruthlessly convinces the population that they need to spend their money on possessions. When money is the only source of power, morals have little influence. They say “money can’t buy happiness” but it’s not like a time-aged proverb is really going to stop us from trying. Money is a thing that can get you anything! Of course we are going to believe it can give us happiness, it’s just a matter of figuring out what to purchase. The proverb remains true but companies profiting off of you will try hard to make you ignore it. Money is an incredible feat of a cognitively advanced species. We can place arbitrary value on physical placeholders, which has basically converted to just numbers saved on a computer today. Despite all our intelligence, a funny thing happens when a society is built by placing the power on money: the money becomes too powerful. If you want to buy a person’s loyalty, you pay someone for it. But when you pay them they are not loyal to you, they are loyal to the money you gave them. They’ll continue giving their loyalty as long as you keep paying them. If someone else pays them more, their loyalty may change. When you have a society where the money has more power than the people, the society starts to treat people worse than money. This is not a sustainable society.